We often hear adults say that we wish we could bottle children’s energy and use it for ourselves. How do they seem to have that endless amount of fuel? You may never get toddler energy back, but you can and should be conscious of your own energy level and what’s fueling it. 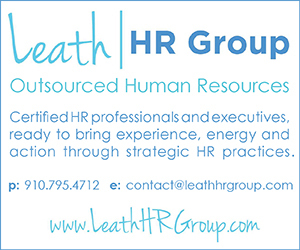 At Leath HR Group, our “why” for clients revolves around our experience that validates expertise, our propensity to be action-oriented, and, lastly – but no less importantly – our energy for what we do with clients. Experience and action are great and somewhat expected, but why would anyone care about energy? Here’s why you should. Tony Schwartz, president and CEO of The Energy Project, has done extensive research on managing energy with business leaders. In a Harvard Business Review article, Schwartz cited that the “best way to get more done faster and better” is to “systematically expand and renew” our one infinite resource – energy. He also concludes that putting in relentless, longer hours inevitably leads to burnout that costs both the organization and the employee. You may be nodding your head, agreeing that the research seems legit, but what are we doing about our energy – body, emotions, mind and spirit? The fact that you’re reading this article is step 1 to stepping up your energy game! If not for yourself, do it for the bottom line. As adults, no longer are we playing outside until dark or taking a nap when we wear ourselves out at work; we work longer hours and reach for coffee. We have real adult problems, such as paying the bills, giving our employees stability, fixing the car, doing well at our own job, finding summer camps, maintaining our home, calling, texting and/or emailing people back, weight gain, kids’ needs… we are rarely able to live in the moment, as we once did. But what if we shifted our own priorities, just slightly? What if we shut our office door, turned on music for five minutes, breathed deeply and de-stressed instead of stepping outside to sneak a cigarette? What if we stopped bouncing from spreadsheet to email to spreadsheet to call and disrupting our rhythm and instead focused on one thing at a time? Research shows that this can help us be more efficient, more productive and give back one finite resource – time. None of us are doing life perfectly. But if you want to make a big impact on your company, your employees, your colleagues and the world, you need to start with your energy. We’ve found some of the answers to boosting human energy in a book called “Eat to Live,” which guides us to “putting good” into our body. Author Dr. Joel Furhman explains that the reason we are so often hungry or have a craving is because we are not giving our bodies the nutrients it needs. Let’s just do a quick check in… Did you eat breakfast? How many steps have you taken today? Do you have a pedometer? Note: you can get one for free from most insurance carriers. How many times did you eat “fast” food this week? Are you getting enough fruits and vegetables in your diet? You’re not drinking diet soda, are you? Do you have any idea how much sugar you’re eating in a day? Answering these questions is a good place to start. Find out if your health insurance covers preventative nutrition counseling or visits to a dietician by going to your summary plan description, often found online in your portal. Nutrition professionals are best equipped to help decode the mystery of what’s good for you versus a generic diet plan. Focusing on what foods go into our bodies can make a huge difference in our energy levels. Added benefits are weight loss and lifted mood, and we can all get down with that! Many times, you can get a doctor to write a prescription for a gym membership and then you can pay for the annual membership with flexible spending dollars that were going to get wasted! Ever think of that? You need to schedule that primary care physical, anyway. We are all rushing to the next activity, shuttling kids around, or trying to make the next critical deadline for our company. Go, go, go! Remember those children with the boundless energy? They are also the same ones who sleep so hard they have no idea when you’re carrying them out of the car or up to bed. When they need a break, they take one. Let’s remember this, grown-ups! It’s ok to take a break. Your body and mind will thank you for it. Your body and mind will also actually end up having more energy and productivity. So, what happens if we do stop to take a meaningful break? Take a breath? Go for a 15-minute walk? Meditate with one of those apps for five minutes? Call an old friend just to say hello? Focus on your own energy? The truth is, if we take a moment here and there, we actually end up being more productive and better to be around. We end up being those people with all that energy. Lisa Leath, SHRM-SCP is the President of Leath HR Group. She is a strategic HR leader with clients across industries, from start-ups to $100M+ in annual revenue. Before starting the business in 2017, she was VP, Human Resources at an international pharmaceutical organization with 7 global locations. Prior to that, she spent 8 years with a Fortune 300 manufacturing company at multiple plants in Employee Relations and HR leadership roles. Her first job out of Penn State was in NYC, where she worked in HR at a large intellectual property law firm. 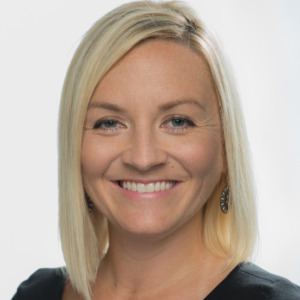 No matter the business or industry, the approach to her career has remained consistent – stay on the cutting edge of benchmarked best practices, then tailor “next practice” HR solutions to specific industries and situations. She has a reputation for building great processes and strategic direction for demanding clients. Lisa is a Senior Certified Professional through the Society of Human Resource Management.